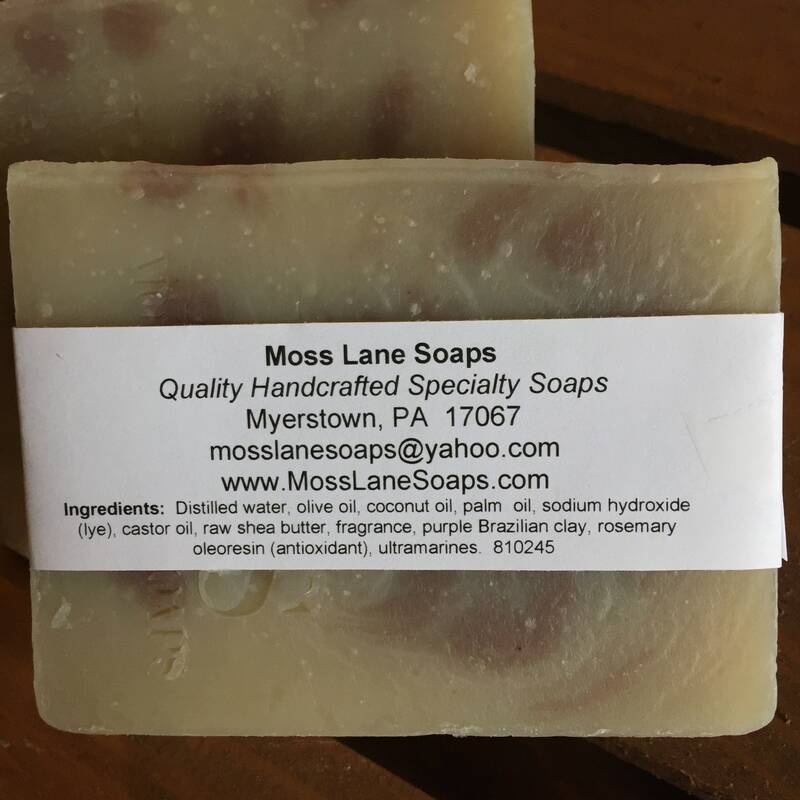 Made by the time-honored cold process method, this soap is rich in gentle olive and castor oils, along with a carefully balanced blend of coconut and palm oils for a rich lather and firm bar. 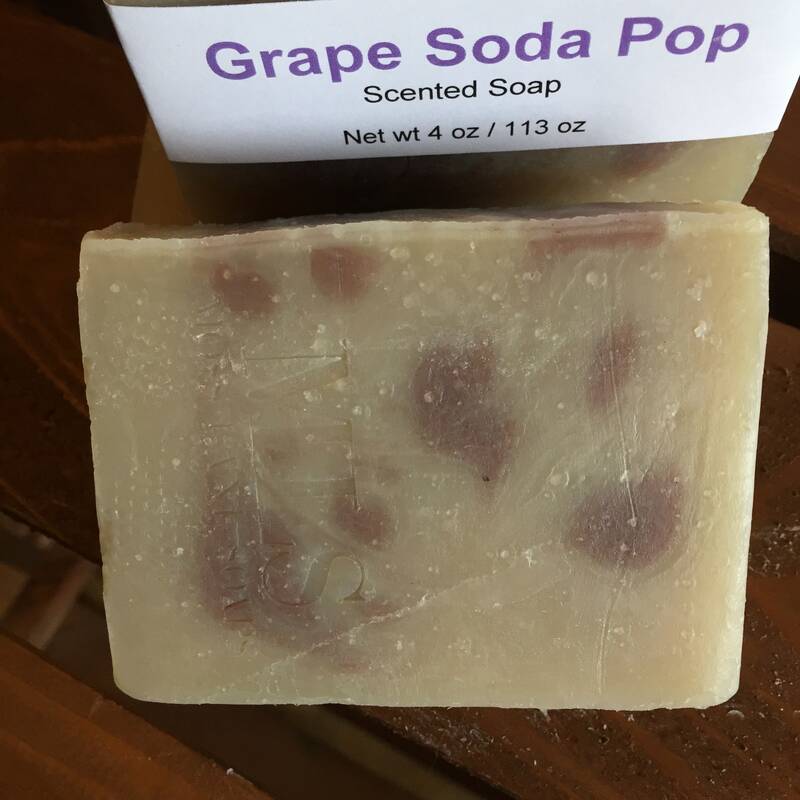 A generous amount of shea butter adds to the luxury of this fun soap. 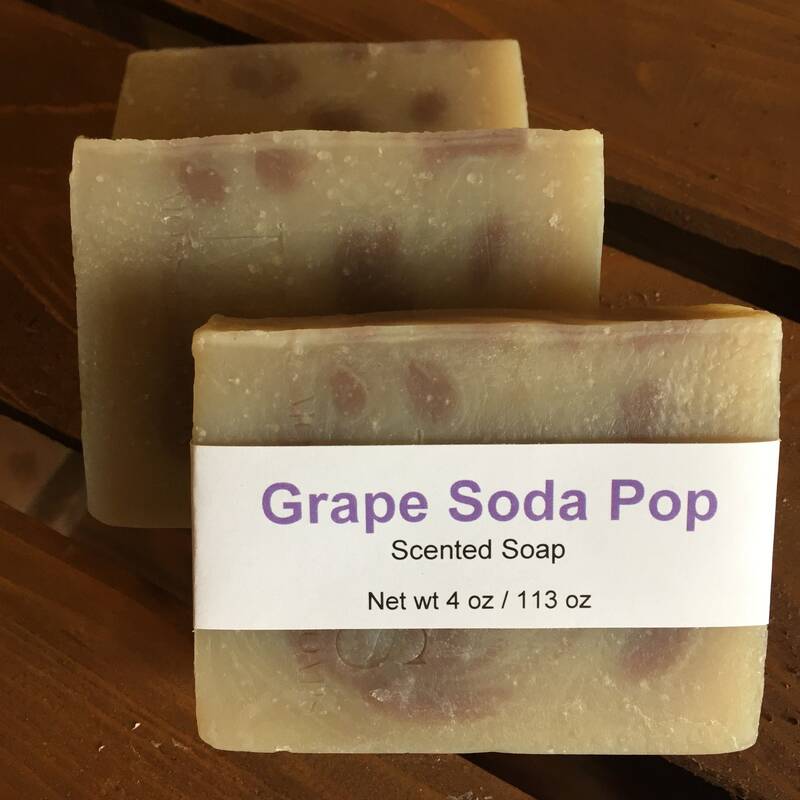 The scent is such a true grape soda pop fragrance that you may think bubbles are tickling your nose. 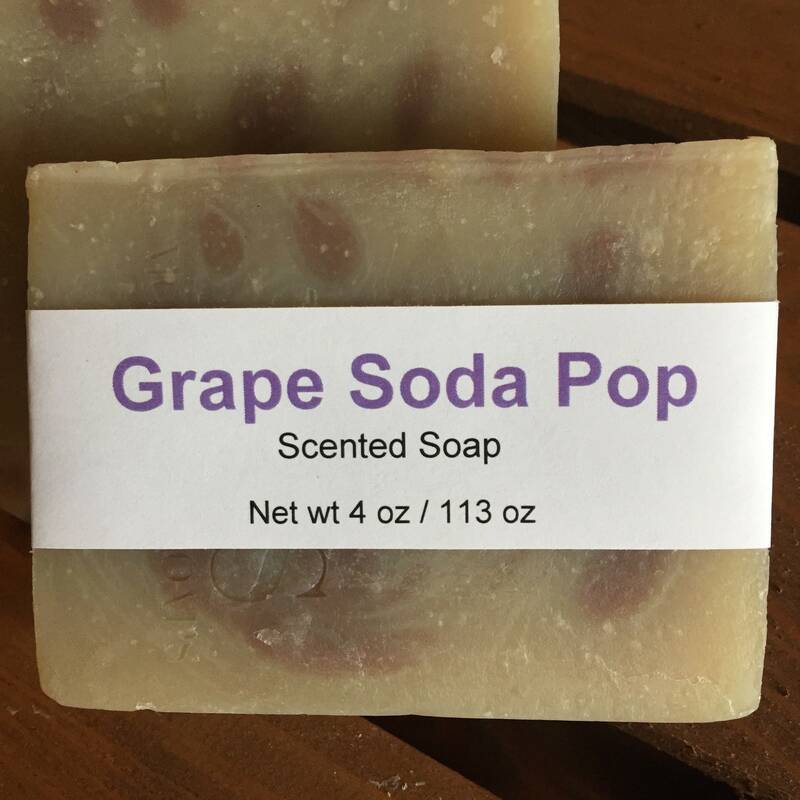 Made with kids in mind, this is a fun fragrance with the color pattern provided by purple Brazilian clay. The result is a bar that’s both gentle and cleansing--and did we mention fun? This listing is for a single bar weighing 4 oz (113 g). The color pattern in each bar is unique, so yours may differ from those pictured. We suggest that you carefully cut the bars in half using a cutting board and a sharp knife to make them an easier size for little hands to hold. 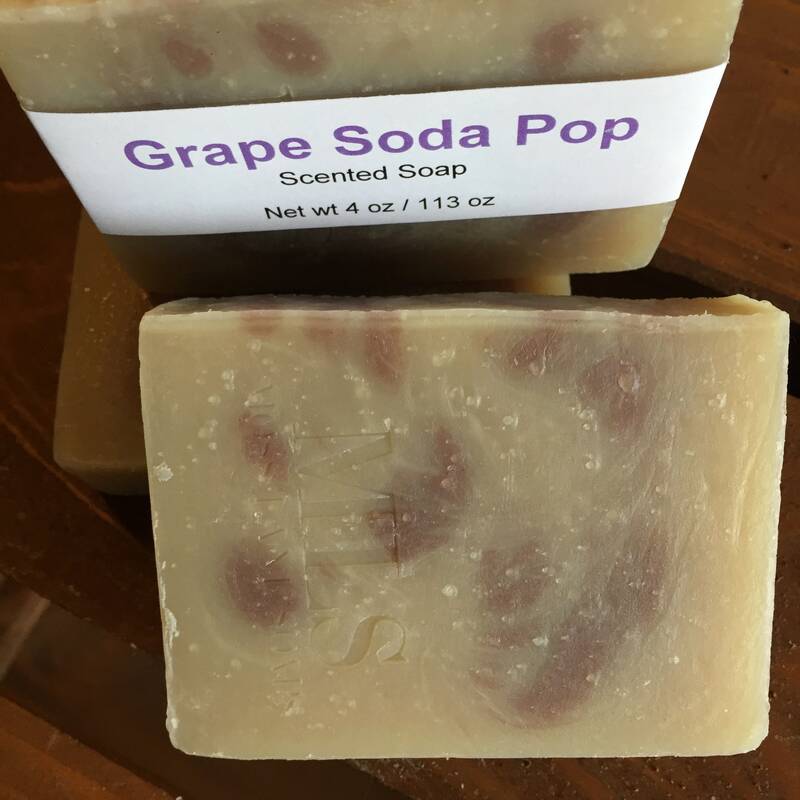 Ingredients: Distilled water, olive oil, coconut oil, palm oil, sodium hydroxide (lye)*, castor oil, fragrance, raw shea butter, purple Brazilian clay, rosemary oleoresin (antioxidant), ultramarines (color). *The lye converts the oils into soap and glycerin. No lye remains in the finished soap. Please read our shop policies carefully and contact us with any questions. Your order indicates your agreement to their provisions.